We are delighted that you are interested in finding out about our onsite Nursery. Our Nursery was set up after listening to the needs of the community and our parents. We believe that by meeting, learning and sharing experiences with your child from an early age we can better tailor their future education. The vision came from our previous Headteacher Mrs Smith. She believed that a Nursery onsite would mean that our relationships with both parents and children in our community would start from an earlier age and that the children would experience a quality education from the start of their journey into Nursery and School. 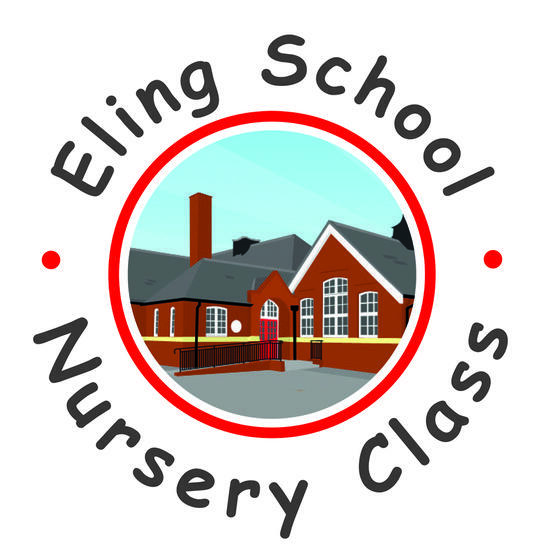 After much planning, organisation and time her dream became a reality and Eling’s Nursery class was established in September 2015. The vision was for Nursery to ensure that children get a great start to their life in an environment best suited to meet their needs, a school. When the Nursery first started it was mornings only and we quickly discovered that full days were what the parents needed and wanted. In September 2016 we increased to full days for three days a week and by September 2017 we had responded to our parents again by offering wrap around care including breakfast club and tea time club for 3 and 4 year olds. Our Nursery class follow the same ethos and values as our school. Enjoy, Learn, Inspire Nurture and Grow. We offer a safe, fun, stimulating and exciting environment where all learners can develop and flourish in their own way and at their own pace. Our staff are all extremely well qualified with the session being led by an Early Years teacher. They are caring and nurturing and skilled in working with children in the early years and we truly believe we can offer you the very best childcare for your child. If you would like to find out more about our Nursery or book a visit please do not hesitate to call the school office on 023 80862267 or look on the website for further information.